Bethpage Brings You Better Digital Banking! 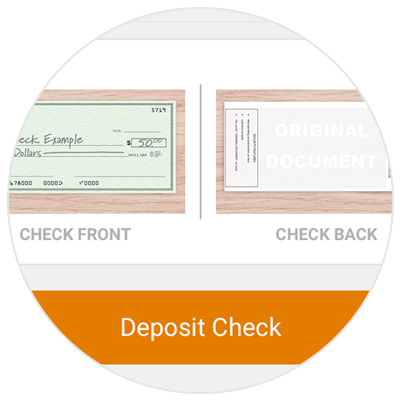 Pay bills, make transfers, deposit checks, and manage all your accounts from anywhere - without visiting a branch. 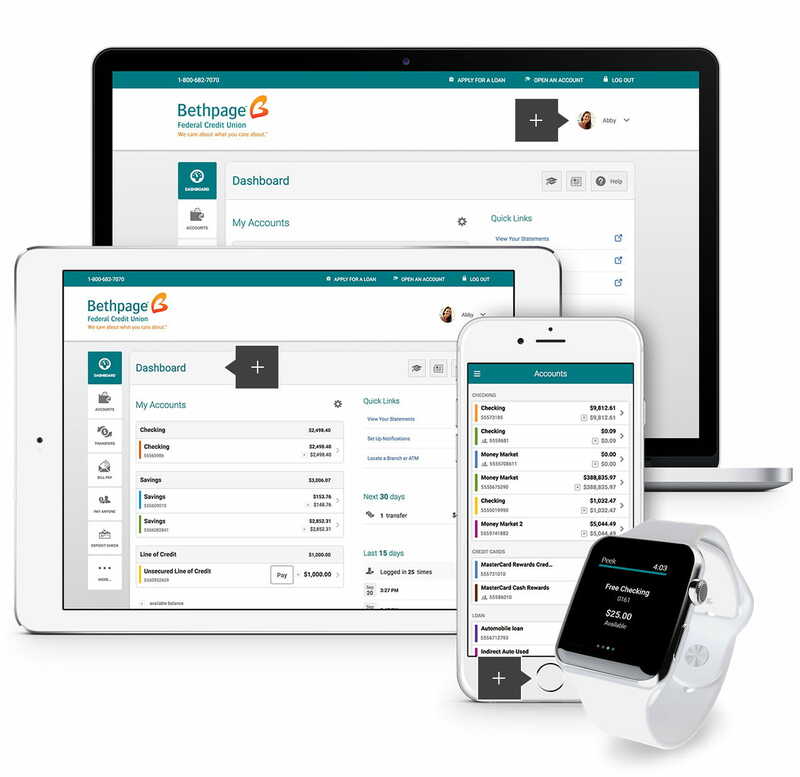 Your dashboard is your financial command center where you'll see all your Bethpage accounts in one place, including Banking, Credit Cards, Loans, and Mortgages. 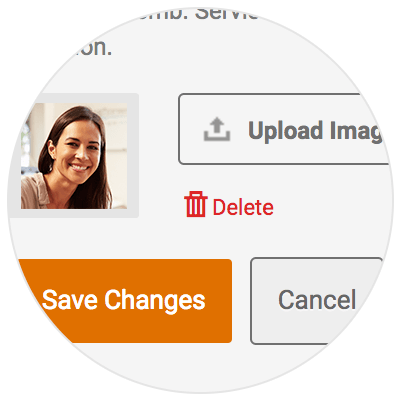 For additional security you can personalize your banking by uploading your favorite picture. That way you'll always know you're on the Bethpage website. 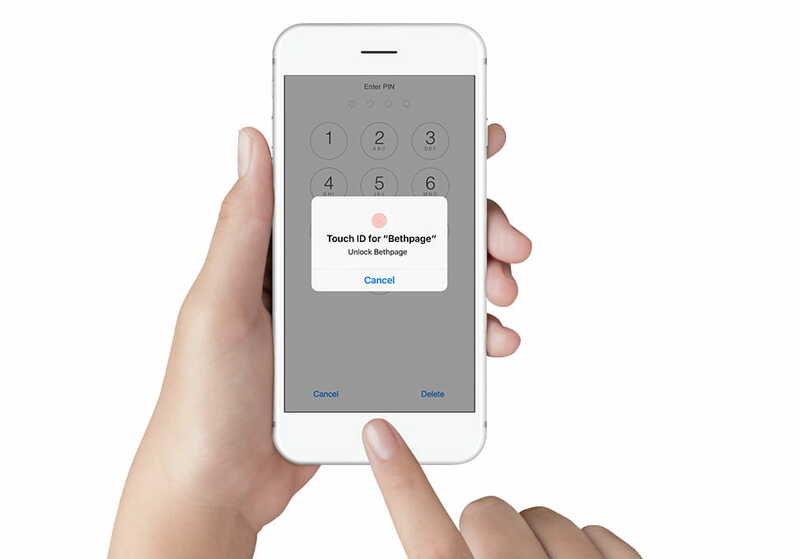 Access your accounts more quickly and securely from your mobile devices with Fingerprint, Touch ID, or Face ID. One touch and you're signed in. 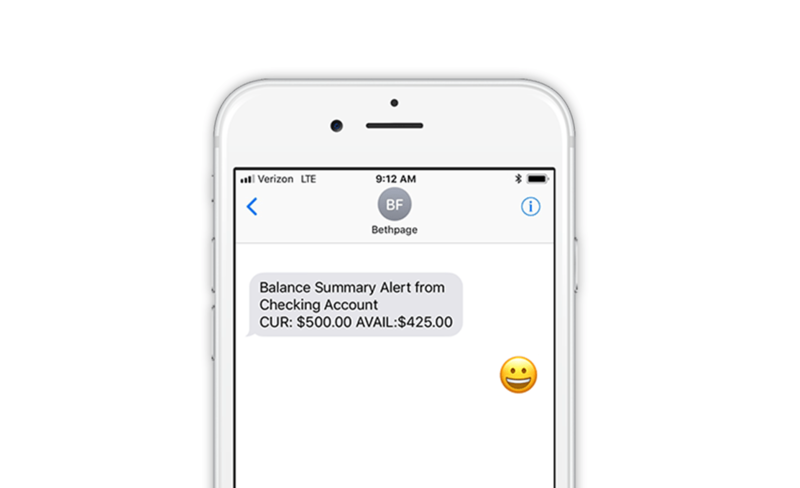 Get notified of low balances, set-up an alert when your account is logged into for even more security, payment due dates, and other account activity. 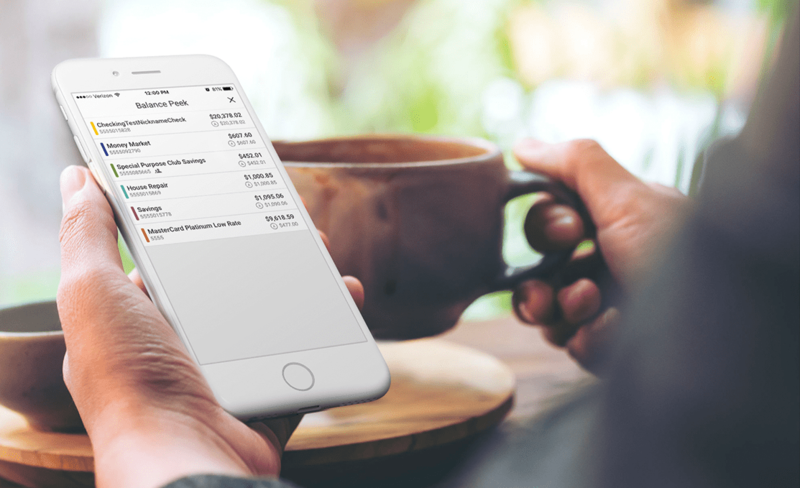 With Snapshot, get a quick snapshot of your account balances without the hassle of logging in. Get laser vision into your money! 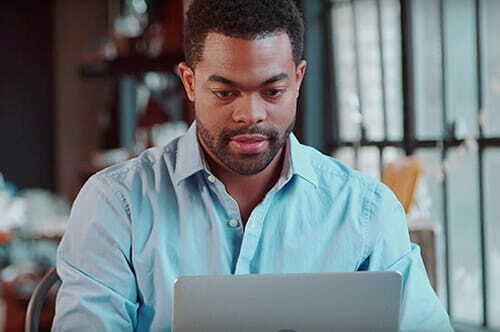 With online and mobile banking, staying connected with all of your Bethpage accounts is easier than ever. 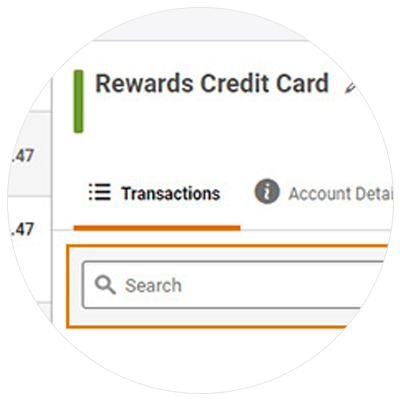 Quickly access your recent and upcoming transactions. Personalize the look and navigation to fit your needs. 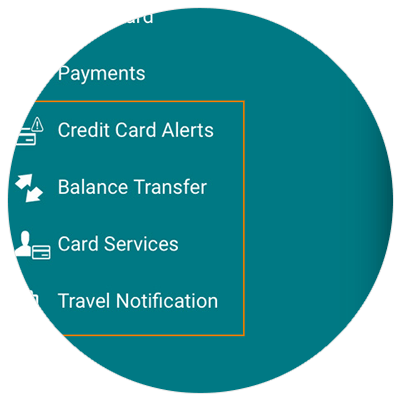 Set up alerts for low balances, payment due dates, and account log ins for even more security. 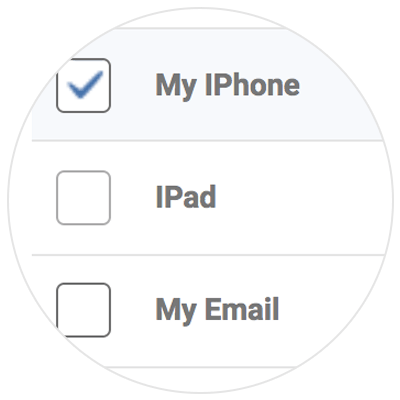 Receive updates by email, text, or push notifications to your mobile phone. Convenient ways to move your money! 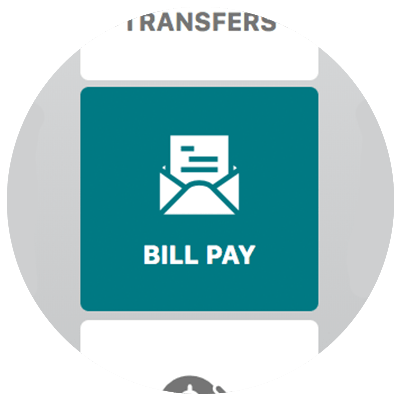 Bill payments made easy and simple. 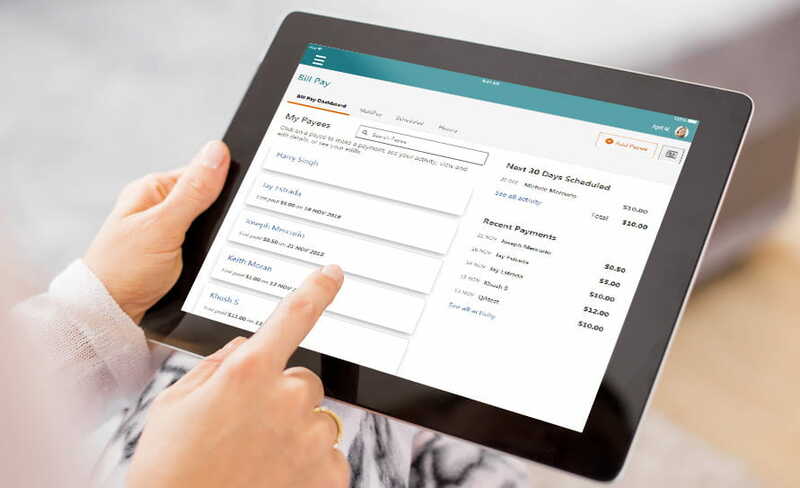 Add payees and schedule bill payments from wherever you are on any device. 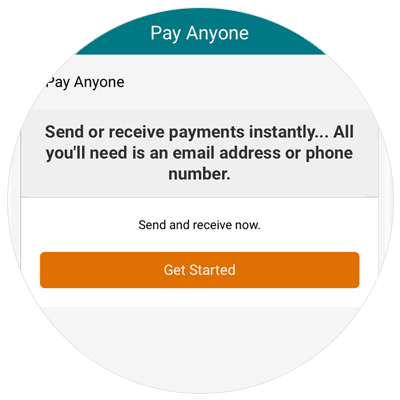 Easily make several payments at once using Multi-Pay. Need to pay your friends back for those concert tickets? All you need is their phone number or email. More ways to transfer money. 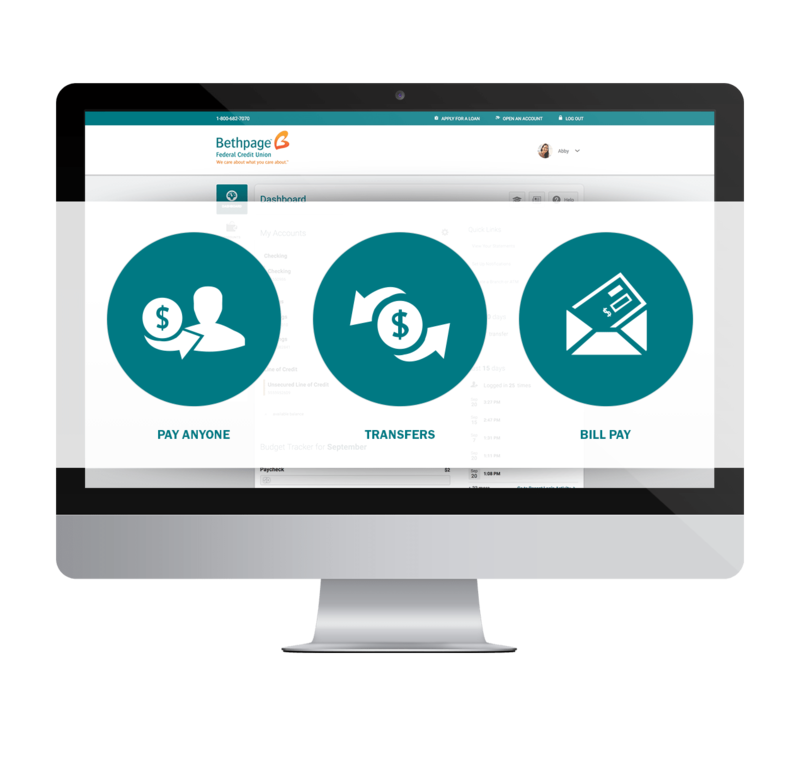 Move money in just a few clicks with Quick Transfer. 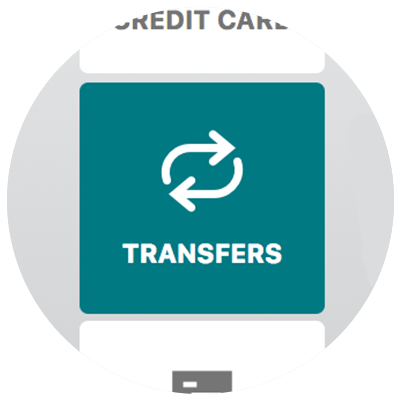 Make immediate, real-time transfers between your accounts or to any Bethpage member with no limits or fees. Transfer funds to pay your Bethpage loan. 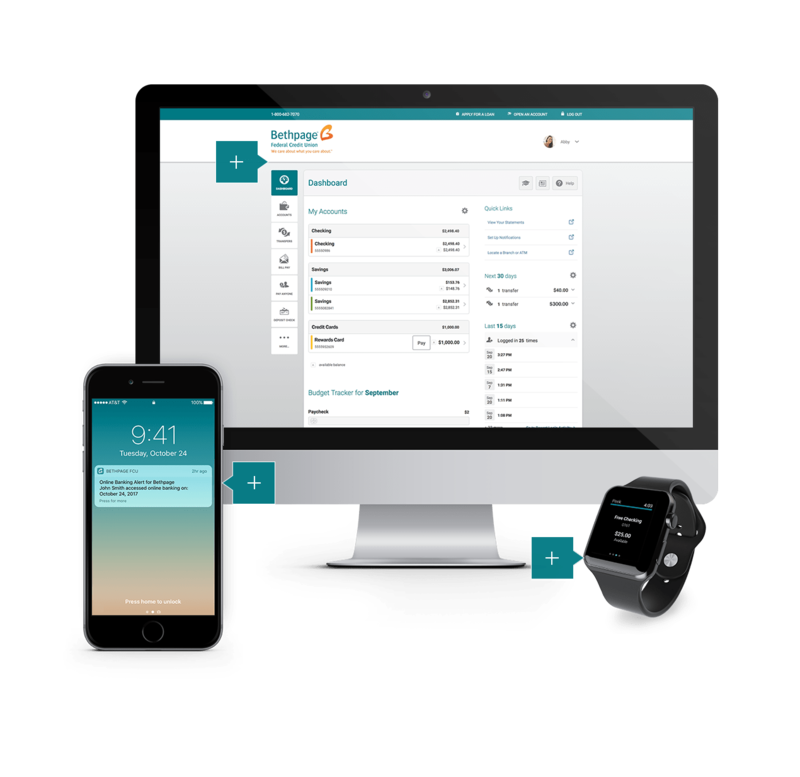 Manage your monthly bills anywhere from your desktop or mobile device. 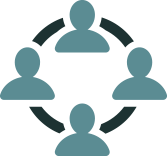 Make realtime payments to friends and family. 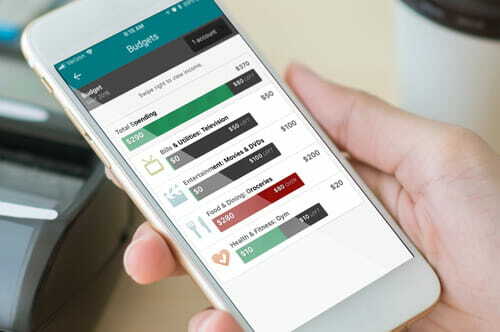 Transfer money between your accounts with just a few taps. 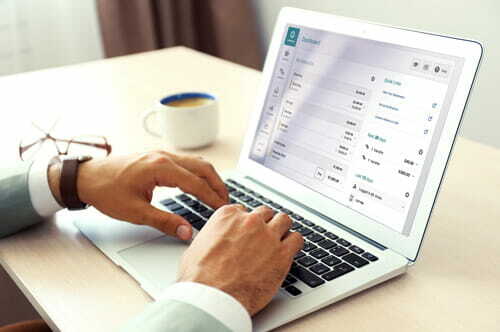 Whether you're checking account balances, paying bills or transferring funds we provide secure, convenient access to your accounts anytime, anywhere. Register for online banking from any modern browser. Download our mobile app below and register now. Text “mobile” to 797979 to get the mobile app for your iPhone or Android device. Use these demos to learn how to take advantage of all the great features. 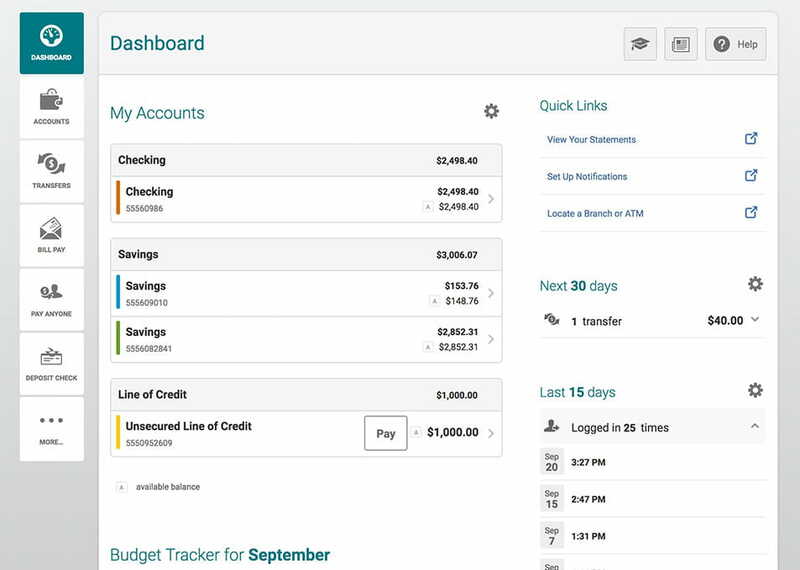 A better experience that includes all-new features to help you manage your accounts. Get answers to the most common questions about the Online Banking experience. ►Which browser and devices are supported? We encourage you to use the latest version available for the browser of your liking on your desktop or laptop computer. In addition, all Android and iOS devices are compatible with our online and mobile banking experience. 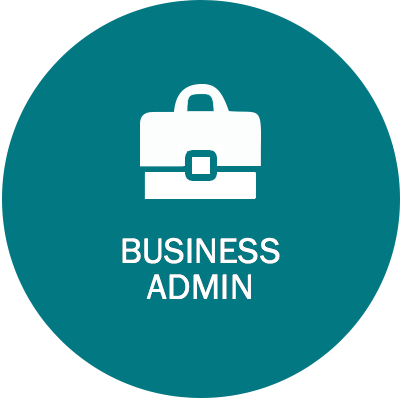 ► Why won’t my account information load on a desktop computer? Some members report that when they click on an account, they get a spinning wheel and their information never loads. This may be related to “Ad Blocker” software that’s installed on your desktop computer or browser. We are working to resolve this to make the online banking platform more compatible with this software. In the meantime, you can temporarily disable the Ad Blocker software, or simply click into another account. ► Why can't I access Intuit (Quicken, QuickBooks or Mint)? 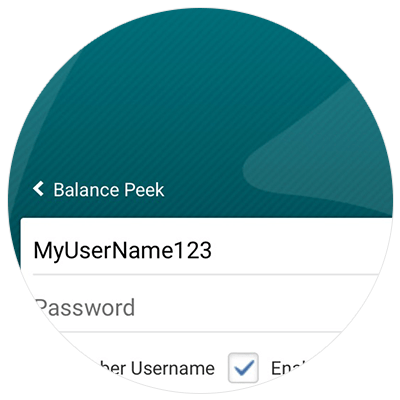 During the transition to the new platform, Intuit users of Quicken, Quickbooks and Mint will need to follow specific instructions to update their Intuit accounts and connect to the new platform. You can find the instructions here. ► Why can’t I download the app on my android device? In order to download the Bethpage Mobile Banking app, your device must be running Android 5.0 (or later versions). Mobile users may also log into the online banking through the Bethpage homepage to take advantage of our mobile web online banking experience. ►My username is not working. Forgot your username? You can recover it now. Please note that you will need to have one of your account numbers and social security number handy. If you still can't recover your password, please dial 800-628-7070 and select option 2 then option 4 to speak with a Bethpage representative. ►My password is not working. Forgot your password? You can reset it now. 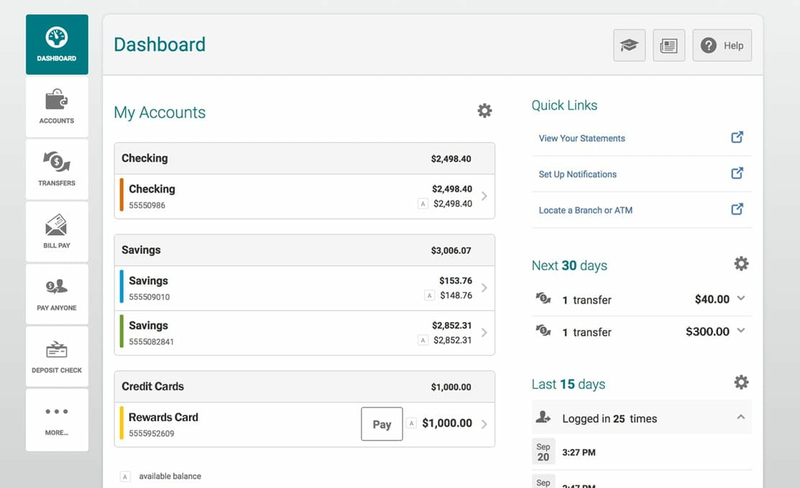 ►Why isn’t my Debit Card accepted using the Pay Anyone feature? Some financial institutions do not allow the use of debit cards to make payments. 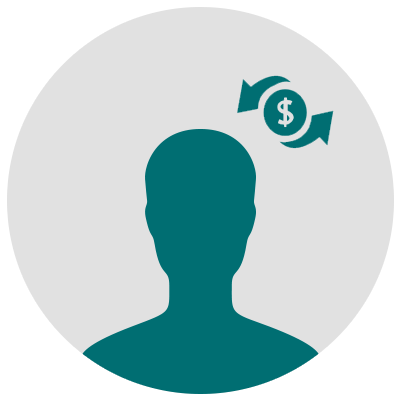 In order to use the Pay Anyone feature please link the payment directly to an account using routing and account numbers. 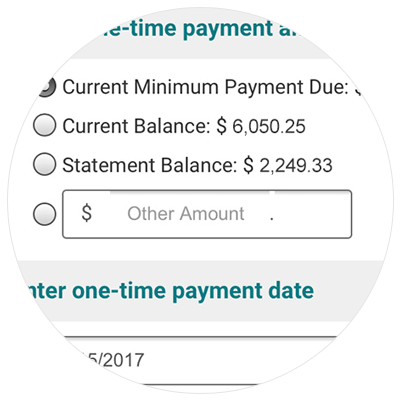 ►Why can’t I view E-statements and/or Pay Anyone? If you cannot access your E-statements or use Pay Anyone, you may have your pop-up blocker enabled. In order to disable it, you will have to hit “accept” when trying to view E-statements or Pay Anyone. There are many ways to contact us to get the information you need. Stay informed and get timely tips, or ask us any questions you may have. If you'd like in person help, please visit your nearest branch. We care about what you think. Please take a moment to share any feedback or suggestions. Apple®, and iPhone®, are trademarks of Apple, Inc., registered in the U.S. and other countries. Apple Watch™ is a trademark of Apple, Inc. If you opened your account in a branch, you would have received your account numbers on a printed card. 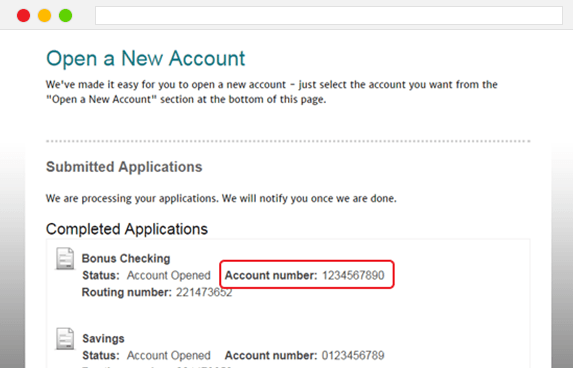 If you opened your account online, you can find your account number inside your completed online application. Log in to your application and find the number as illustrated in the image below.